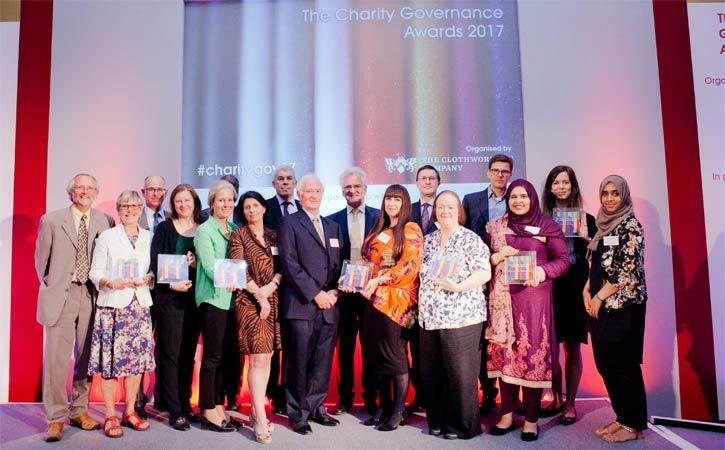 The stories from this year’s Charity Governance Awards winners and entrants are a vivid illustration of the difference a good board can make. They tell of boards that have brought fresh thinking, integrity and a clear vision to their charity’s work, strengthened its impact and, sometimes, averted disaster. The charities themselves range from tiny to large, and their causes are diverse. The governance categories they entered include digital, diversity, impact and turnaround. They are all stories of great leadership, exercised as a team, for a common cause. This is quite at odds with the way that we, as a sector, usually talk about trusteeship. Often the focus is on the fiduciary and the language is all compliance, liability, duty. For a long time, I was deeply uninterested in anything to do with trusteeship: it had a fusty, almost Dickensian connotation, and the link between trustees and the work of the charity – the difference it made – seemed tenuous. However, as the entrants for this year’s awards (and last year’s too) clearly demonstrate, good governance involves so much more than just getting the basics of compliance and scrutiny right. A common theme of these stories is of trustees keeping hold of the bigger picture and not being afraid to think afresh about how their focus should shift in the context of a changing world. In some cases this meant deciding to narrow their remit to key strategic activity, and stopping anything that did not contribute to this. (This can be so hard to do in practice!) Dementia UK decided to focus on exclusively providing care through specialist Admiral Nurses. For others this meant broadening their mission to create a more holistic approach. For example, Off The Record expanded its work from providing counselling services for young people to a mental health service for the same audience. Body & Soul widened the focus of its services from young people with HIV to a broader range of beneficiaries. Always, the board were careful to keep true to the overall purpose of the charity, and to the needs of service users. Another strand (and a refreshing change from the stereotype of risk averse boards) is the willingness of the trustees to be ready to try new things where this helps them achieve their goals. Voluntary Arts’ BAME Advisory Panel incorporated shared meals into their meetings to help build inclusivity, Raise the Roof has embedded the use of several off-the-shelf platforms to deliver services and increase participation at board level. There are stories of boards taking bold decisions, based on calculated risk to achieve more – for example, Preston Road Women’s Centre took advantage of the Empty Homes Partnership to develop a new programme providing safe accommodation for women escaping domestic abuse. The entrants share an evident belief in the value of collective, and collaborative, action; a willingness to look outwards and work in partnership with other organisations. There is also a real seriousness: clarity about the change that the board wants to achieve and determination to draw on the right information and processes to achieve this. These are boards who are interested in the impact of their organisation’s work, who seek evidence of the difference their service makes and take corrective action where necessary. They are also boards who are willing to step up to the plate when the going gets tough. Witness the courage and commitment shown by the trustees of Kentish Town City Farm when faced with a seemingly hopeless situation. These stories are important for three reasons. They show how there is more to being a trustee than scrutinising accounts. They also offer a counterpoint to the bad press that governance has had in the last couple of years – the plethora of stories about people doing it wrong and a focus on the ‘problems of governance’. This negative focus is problematic, and not only because it creates an unbalanced picture of trusteeship. It actually contributes to the problem: underlying much of the existing bad governance. From poor trustee recruitment to lack of board engagement, there is a lack of appreciation of, or even belief in, the difference that a good board can make to a charity. Sharing examples of good governance is one of the most powerful ways to help people to understand the value of good trusteeship. It makes it tangible. These stories demonstrate that good governance really does matter, that it really is possible, and that it is worth striving to achieve. So, please read and enjoy these stories, and share them widely. The Charity Governance Awards is organised by the Clothworkers’ Company, in partnership with Reach Volunteering, NPC and Prospectus. The winners were announced at a ceremony at the Clothworkers Hall in London on Wednesday 24 May 2017.